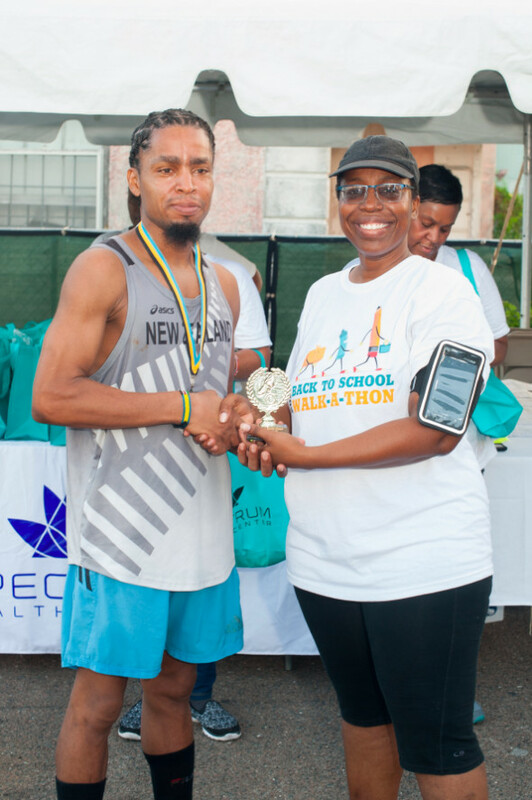 Runner O’Neill Williams, who placed first overall, receives an award from Dr. Juanita Pratt, Operations Manager. 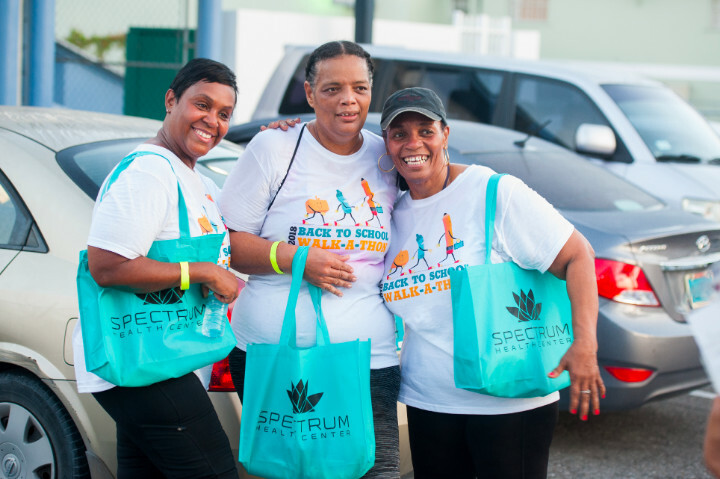 Nassau, Bahamas – On a brisk Saturday morning in September, the team at Spectrum Health Center (off Rosetta Street) hosted its first Annual Back-To-School Walkathon. “We had a good turnout,” shared Dr. Juanita Pratt, Operations Manager. 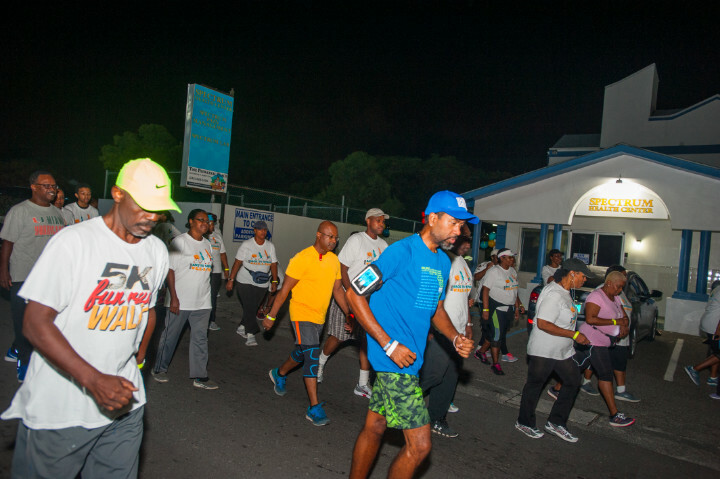 “Some of the top runners and power walkers in the country participated in the event, along with the physicians who practice at Spectrum Health and other people who just wanted to have some fun and support a good cause.” Participants walked or ran almost 4 miles (6km) from Spectrum Health Center to Montagu Beach and back. Some of the proceeds from the event were donated to the Children’s Emergency Hostel. Spectrum Health Center, located on Rosetta Street in Palmdale, offers outpatient services, pain management assistance, endoscopic procedures and urgent pediatric care. Notable Bahamian medical specialists including Dr. Charelle Lockhart and Dr. Marcia Bassett of The Pediatric Place, interventional spine and joint pain specialist, Dr. Sy Pierre, foot and ankle specialist, Dr. Daniel Johnson, endoscopic and thoracic surgeon, Dr. Theodore Ferguson, all manage practices at the Center. Periodontist Dr. Rosamunde Erskine will also join the Spectrum Health team soon. Members of the Spectrum Health Center Team (from left to right): Latoya Williams, Clinical Nurse Manager; Cheryl Lowe, Certified Surgical Technician; Angela Miller, Billing and Coding Supervisor; Dr. Juanita Pratt, Operations Manager; and Thoy Rahming, Unit Secretary. 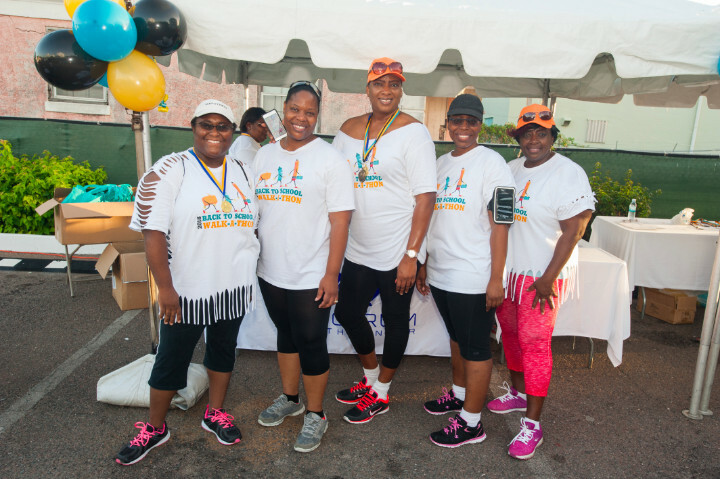 Participants celebrate completing the course which took them from Spectrum Health Center to Montagu Beach and back. Walkers take off to complete the Spectrum Health Center 6K Walkathon. 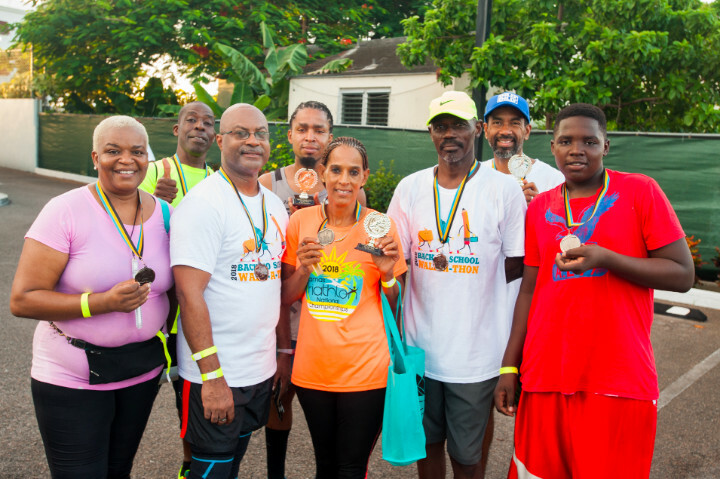 Walkers and runners celebrate their respective victories and completing the course at the end of the event.